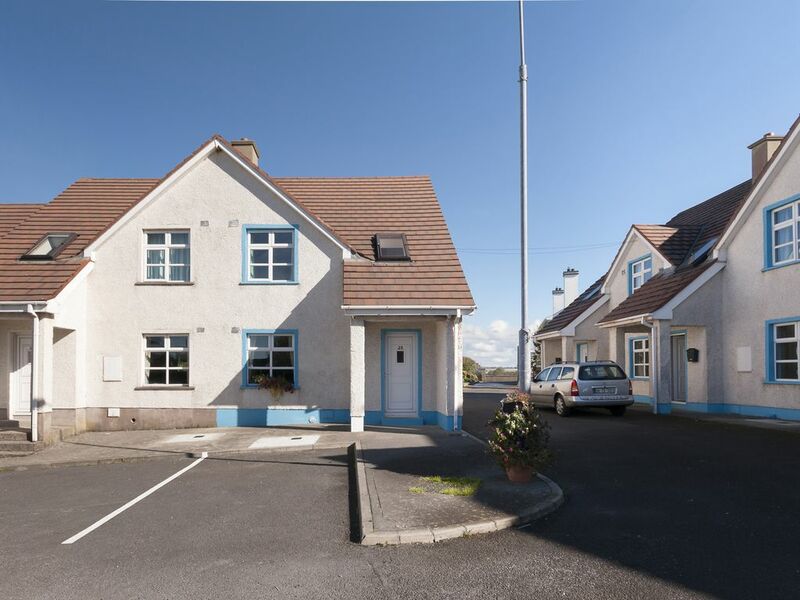 This is one of six townhouses on a quiet residential development on the outskirts of Bundoran Town - a noted seaside resort town half way between Sligo and Donegal. The house is a real surfers destination overlooking " The Peak" one of Irelands most famous waves. There is direct access to the coastline with views of the sea from the entrance of the development. The house is furnished to a high standard with a welcoming open fire in the lounge. Family activities nearby in Bundoran include indoor aqua dome, horse riding, swimming, surf lessons, cinema, and endless coastal walks as well pubs and restaurants. A superb family destination at any time of the year!Shop. Pub. Restaurant. Beach 264 yards. GF: lounge, kitchen/diner. FF: double, double with single with ensuite shower room, single, bathroom with shower over bath.Oil and Electricity charged at EUR7 per day;, open fire with starter pack, linen and towels included, TV, fridge/freezer, microwave, dishwasher, w/machine, internet access, open plan garden, off road parking. One pet welcome. Stroll to beach and all amenities - Great Family holiday!